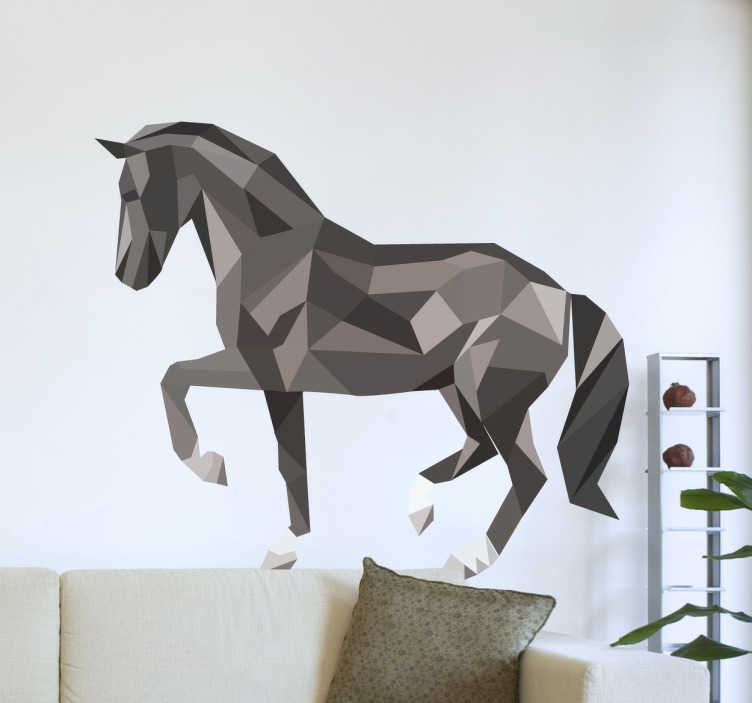 A creative design illustrating a geometric horse decal to give your home a new look. If you love horses or horse riding, then you will love this wall art decal from our collection of horse stickers. Are you tired of having boring and empty walls? Then this horse design is perfect to to decorate your home with! The geometric wall sticker should be place on a smooth surface. All of our animal wall stickers are easy to apply and come in various sizes.